* Where did your inspiration come from? 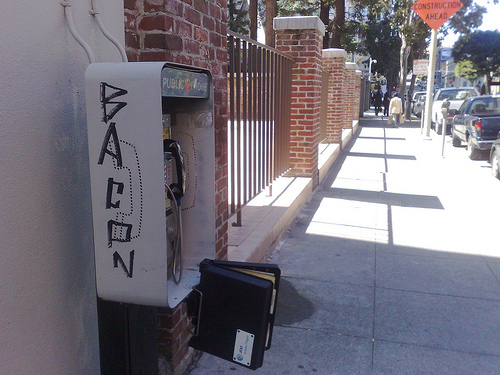 Are you a fellow bacon lover? First of all I must explain that bacon in Switzerland or Europe has not same meaning or symbolism as in America. I heard that calling yourself a bacon lover in America is almost a political statement, saying I enjoy bacon even it’s a nutritional sin. This is not a big topic in Switzerland. I surely do like bacon, I eat it very often since it jazzes up so many dishes. 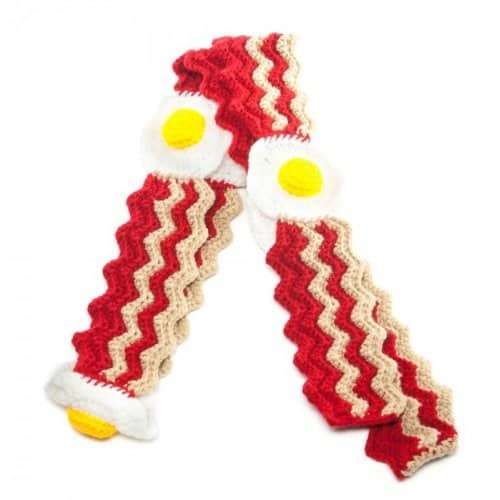 But my inspiration for the bacon scarf came from a very different angle. My work is often inspired by topics in the realm of food culture. The comparison of appearance and reality, nature and culture, as well as the discussion about good and bad taste are fascinating aspects to me. Such categories can be applied to both food and ornament. The spirit of sugar and ornament are quite similar, one pleases the eye whereas the other is a delight for the taste-buds. The large quantity of recipes available to us, tell about our highly developed and specialized sense of taste. Is there a sense in arguing about good taste? 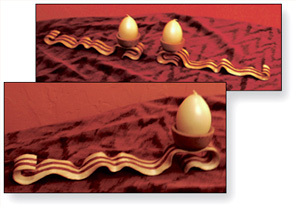 * Why make a bacon scarf? The ambiguous question of what we find attractive or disgusting is very interesting. 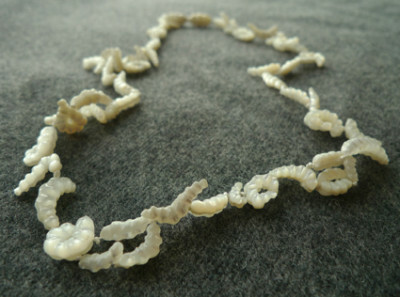 The preliminary work was a necklace of maggots carved from mother of pearl. In German to feel as a maggot in bacon is a metaphor for being in paradise. I wanted to show this necklace in an exhibition titled paradise. So all I needed to do was the bacon scarf. 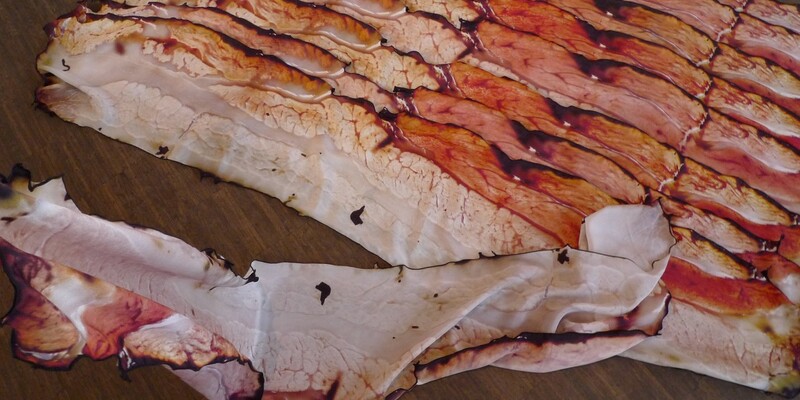 Only then I noticed that actually the French word for silk scarf â€œFoulardâ€ already contains fou (insane) and bacon (lard). A foulard is a sophisticated accessory. I like the ironic twist of wearing a precious shiny silk scarf (and when you wear it you don’t really notice that it is the image of a bacon), but the image on it is checkered. 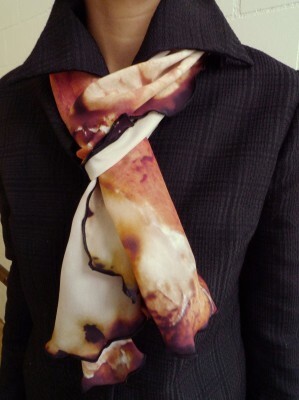 Last but not least: I guarantee that the scarf is not leaving any oil stains! 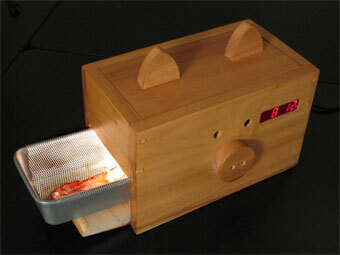 * Does your creativeness continue into the kitchen? 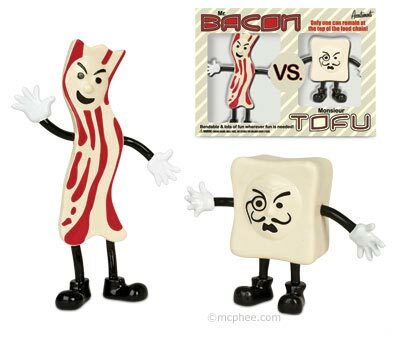 Do you have a favorite dish to cook with bacon? I do like very much to cook myself. My parents had a restaurant, so in our family food was always a big topic. I do like bacon almost best on its own. In Switzerland in many rural taverns it is very common to order a ‘Speckbrettli’ which is finely sliced smoked bacon on a wooden board, garnished with pickled cucumbers and fresh bread on the side. Sitting in the middle of the mountains after a long days march and getting this dish is a very happy feeling. Luckily you can purchase these beauties and have them shipped to you from Switzerland, thank goodness! The scarf is 170 US Dollars plus 15 US Dollars for packaging and shipping with priority mail. 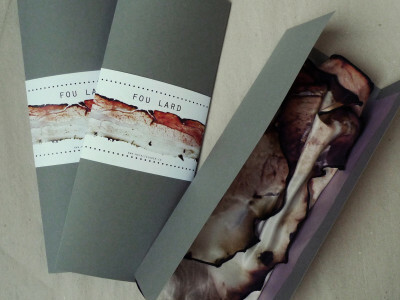 Check out more photos and details about the Fou Lard on Natalie’s site: http://www.natalieluder.ch/shop.htm . And here’s hoping that your holiday season leaves you feeling like a maggot in bacon.